Hervey Bay is a fast developing resort town of south-eastern Queensland, Australia. 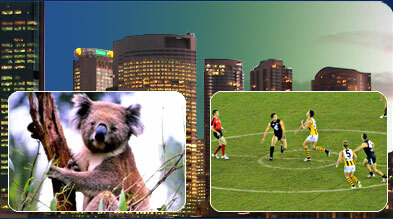 It is a vibrant coastal urban centre which lies about 300km on the north of Brisbane. Hervey Bay is one of the most popular tourist destinations of Australia and is known as the ‘Whale watching capital’ of the world. Hervey Bay lies very closer to Fraser Island, which is the largest sand island of the world. Hervey Bay was originally named as ‘Hervey’s Bay’ by Captain Cook when he passed through this area on 2 May, 1770. The place was named in honour of Lord Augustus John Hervey who was the senior leader of Captain Cook. The first settler on Hervey Bay was Boyle Martin who bough land in Pialba. Hervey Bay was officially proclaimed with the status of a city on 18 February, 1984. Hervey Bay originally comprised of five distinct villages which were scattered along the path from Urangan to Pt. Vernon. Hervey Bay experiences a sub-tropical type of climate with no extremes of temperature. During summers, the temperatures range from 29ºC to 30º C and in winters the temperatures drop down to 10ºC or lesser. Most of the rainfall occurs during the summer season of December and January. Violent storms are quite popular in the region. Hervey Bay is well accessible by rail, road, water and air transport facilities. Hervey Bay is very close to Brisbane and is just half an hour drive from Maryborough. The Bruce highway runs through Hervey Bay and thus makes it easily accessible by road. The Hervey Bay Airport serves the city and has daily flights to Sydney and Brisbane. The Queensland Rail operates daily rail services from Rockhampton, Brisbane and Cairns to Maryborough West and these can be availed from Hervey Bay station. Greyhound Pioneer and Premier Motor Services operate daily services from Hervey Bay, Childers and Maryborough to nearby areas. There is plenty to do at Hervey Bay as there many beaches, parks, museums and gardens in the city. The region is well-known for its marine life and sports activities which include swimming, diving, yachting, snorkelling and fishing. The place is also remarkable for its whale-watching activities. During the months of August and November, one can easily catch the whales playing with each other very near to the coast. Many competitions like the Bay to Bay Trailable Yacht Race, Fraser Coast Toy and Tucker Run and Hervey Bay Family Fishing Competition are organised from time-to-time which are huge crowd pullers. Hervey Bay has extensive shopping centres which serve the city. There are many new shops which have been set up on the sides of Boat Harbour Drive. Pialba Place is the main shopping hub of Hervey Bay and comprises of Coles Supermarket and 32 special stores. The Torquay Road also has many shops on both sides of the street. Hervey Bay is a also a paradise for food lovers as there is a whole spread of Thai, Chinese, Italian, Mexican, Indian and Australian cuisines which are available in the restaurants and cafes. Some of the popular cafes and restaurants of Hervey Bay include Bayaroma Café, Drovers Dog Bar and Grill, China World Licensed Restaurant, Delfinos Restaurant, Salt Café, Golden Chicken, Blazing Saddles and Misteys Café Bar and Restaurant.